If you haven’t noticed yet, there has been a significant increase in the amount of games made specifically for mobile devices in the past year. Everyone has a mobile device of some sort, whether it’s an iDevice, Android device, or some 3rd party smart phone. Almost every child, and most adults, either know of or have grown severely addicted to one or more of the Angry Birds games. It’s practically impossible to not notice. What I seem to be seeing less and less of, especially with teenagers, is the use of more traditional portable game devices, such as the Nintendo DS, or Sony PSP. Sure, I have a DSi, but I rarely play it. I think that I currently own a grand total of 5 games for it – 3 of which were gifts. I just don’t buy them. My nieces all play games on their smartphones, but don’t own, or even want to own a portable game system. The one niece who does own a DSi hasn’t touched it in about a year. 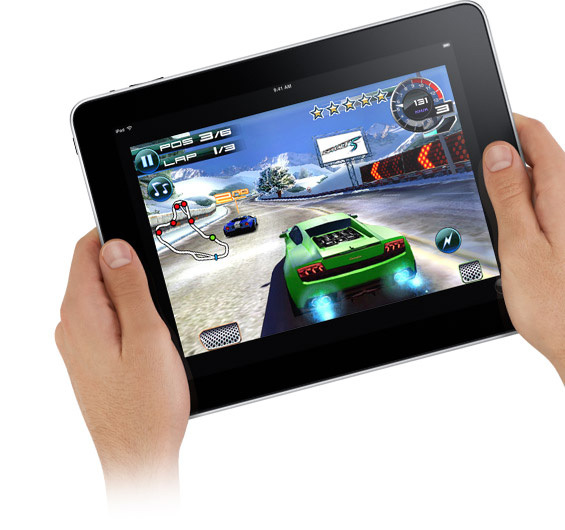 So, what is it that makes us lean more towards gaming on our mobile devices? I think that, at least in my experience, it’s the price point of the games, and the perception of worth towards the device itself. Obviously, this is just one guys opinion, but that’s what I’m here for, after all. Think about it. When we set out to decide upon which system we want to buy, the main concern is usually “How much is this going to cost me?”, and so we start to compare. 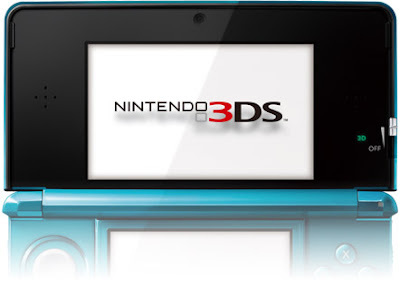 The DSi – or the new 3DS – started around $169. The PSP costs about $130 now, with the new Vita averaging about $250. That’s quite a cost for a device whose only function is entertainment on a small scale. None of these really serve a practical, everyday purpose. Now, let’s compare that to the new smartphones on the market. True, most Android devices are topping $500, and the iPhone is around $649 for the 16GB 4S, ranging up to $849 for the 64GB version (all device only). Though this sounds expensive, remember that most phones are purchased with a plan, which brings the cost down significantly. That 64GB iPhone would drop down to $399, and the Android devices are around $199-$249 for the most expensive models. As you know, when you purchase a smartphone, you’re not simply purchasing a mere telecommunication device anymore. Instead, you are purchasing a mini computer. It can make calls, surf the internet, take high-definition pictures or videos – some even in 3D – use countless amounts of applications that can be downloaded from the Android Marketplace or Apple App Store, and – here’s the big one – play video games. My point is simple. People are veering away from traditional handheld gaming systems and almost diving at smartphones and other mobile devices (can’t forget iPads and Android tablets) like rabid dogs attacking the neighborhood mailman. Angry Birds had the highest number of copies sold out of any game for any system in history with a whopping 350 million plus copies in the past 2 years. To put this into perspective, the core line of Mario video games (the previous title holder) has sold around 262 million copies since its creation of Donkey Kong back in 1981. Could this be because of the price difference? Could it be the availability of the simple download rather than the run to the store? Could it just be that our taste in games is changing?This may be comparing apples to oranges – or pigs to goombas – but I think it says something. People like great games at decent pricing. Do you think that other game consoles may begin to follow suit and start lowering prices of standard console games to remain competitive? 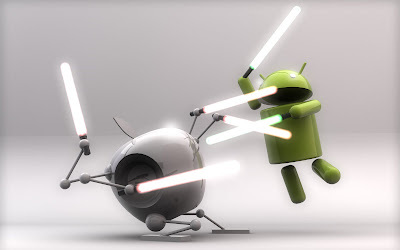 Or do you think that they may just begin to produce more games for smartphones? Or both? I hate to finish this with an old fashioned hanger but I suppose only time will tell. What do you think? I'm so tired of these articles I could spit fire. THERE IS NO PROOF OF THIS. The market is growing. Smartphones don't kill markets, they grow them. Portable gaming devices are selling better than ever. Markets can co-exist! At this time, there are around 400,000 apps available on the Android Marketplace and almost 600,000 on the Apple App Store, and these numbers are growing rapidly. Full of cruft and crap. Unless you know of reputable review sites or forums, you're going to be digging through a lot of Angry Birds clones and fart apps. There are gems, but they're hiding in the cruft - this is using the cruft as an argument for popularity. This is not even despite the fact that these games are of a different nature to the ones on the 3DS/Vita. You lack buttons, but also you lack any deep connection to the game's outcomes. The games on the platform tend to be, in a broad sense, "not great." Shallow, flippant, disposable. There are exceptions to this, but most of these were ported from the DS or PSP (and thus wouldn't exist without subsidization), or are one-off games that we won't see much of again (such as the Square Enix JRPG for iPhone). Articles like these are the mainstream tech press' way of stoking their love for their smartphones. They become less relevant with every word they type, all of this snot ridden, hype filled, empty worded, fact-less debauchery of actual arguments that could be used to make any point necessary for public consumption. Instead of embracing reality, remarking on the co-existing of the devices, these foolish tech "journalists" write what amounts to hitman pieces set against the dedicated handhelds in their childish, fanboy vendettas against anything that isn't their lovely iPhone. It's disgusting and this article is garbage. "but I think it says something. People like great games at decent pricing" Comparing the "great" games of a console and the "great" games of an android is ridiculous and stupid. Cost isn't an issue with me. I want a polished experience. I will pay $35 for a good portable game. Hell if I could get a portable Skyrim or Mass Effect, I'd pay more. Angry birds is nothing like Mario. It is a one screen time waster (which is fine). I will pay $35 for portable Mario. But I won't even pay 2 for angry birds. The two experiences aren't remotely comperable. I play free time wasters on android, occasionally I throw the indie ones I like a couple bucks. But I'm not the angry birds customer. Maybe they're taking the kids market, but I think the hard(er) core will always want something more in-depth. I definitely hear what you all are saying, but realize that I did finish off by saying that we may be comparing apples to oranges here. Although, older hard-core gamers may not be as inclined to purchase the newest Angry Birds game, I can tell you first hand that the kids at the high school I work at will tell you otherwise. Heck, I own all 3 versions for my iPad and Android phone. Secondly, if you look back to my second paragraph, I made sure to point out that this is only my opinion, and in no way have I claimed to be an expert on the statistics of the matter. I understand that there are many, many, many clones of other mobile and console games, and I never said that all of those apps listed were original games, or even games at all. My point is simply this - people embrace new technology, especially when it becomes easier and less expensive to gain access to. I, for one, greatly appreciate the different style of gaming that comes along with tablets, smartphones, and other mobile devices. Although you may not have physical buttons, you are able to interact with the app through touch. This is no more different from standard controller gaming than the Kinect is. When it comes to price point, I am not rich by any means. I don't wait in line for every big new game release because I can’t afford it. In fact, I've NEVER waited in line for a new game release. Don't get me wrong, I absolutely love gaming, and would buy each new, big game when they launch, but I just don’t have the income to support it. The bottom line is that I, like many others out there, need to pick and choose a few games each year that I will spend the full cost on. This past year, those games were the newest Call of Duty, Assassin’s Creed, and BioShock. AC and BioShock were fun until I beat the campaign mode, but the multiplayer modes were terrible. This means I really only got my full money’s worth out of CoD - which I will continue to play until Black Ops 2 comes out - and the slew of mobile device games that I own. Sure, you may not like the games available on mobile devices, but you’ll need to accept that others do. If they didn’t then we wouldn’t be having this discussion, and you wouldn’t have all these articles written that drive you to “spit fire”. Thank you all for your comments, and thank you to 8bitid for managing to remain respectful in your argument, even though you completely disagreed with me. I do agree with you that Angry Birds is more for kids than adults, along with Fruit Ninja. These games may not require the skill and coordination that some console games do, but that’s why they are so addicting to the younger gamers. Please keep the comments rolling in. It’s great to hear what you all have to say. I think we also need to take into account of how many phones are in peoples hands compared to handheld devices. When someone buys a phone - BAM!! - they have access to games, so personally I think the numbers are skewed because of that, I don't believe anyone buys a phone so they can play games on it. For students they use the phone for texting and then the games. In the end there are more casual gamers than hard-core gamers and that is what the iOS and Android market caters to, the phone/pad platform just cannot capture what the handhelds can and do. I don't think the handheld market has anything to worry about, I for one will be purchasing a Vita when it hits and the Nintendo line of DS's is doing just fine. Both markets can exist and will for the long run... and that's a good thing, yes?